Back when I first started this blog, apart from showcasing my personal style, one of my main goals was to offer style tips to readers. From my Wardrobe Remix Series, to holiday guides, clothing and beauty hauls, video lookbooks and seasonal outfit inspirations, I strive to post different style ideas and provide solutions to your fashion problems. Another segment that I'd like to add to the Style Tips page on this blog is my Runway to Realway series, which essentially demonstrates how you can recreate runway designer looks without breaking the bank. 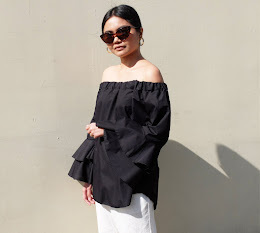 For my first installment, I am featuring an outfit that is inspired by one of the stand-out Spring 2015 RTW looks from Paris Fashion Week courtesy of the design house, Altuzarra. 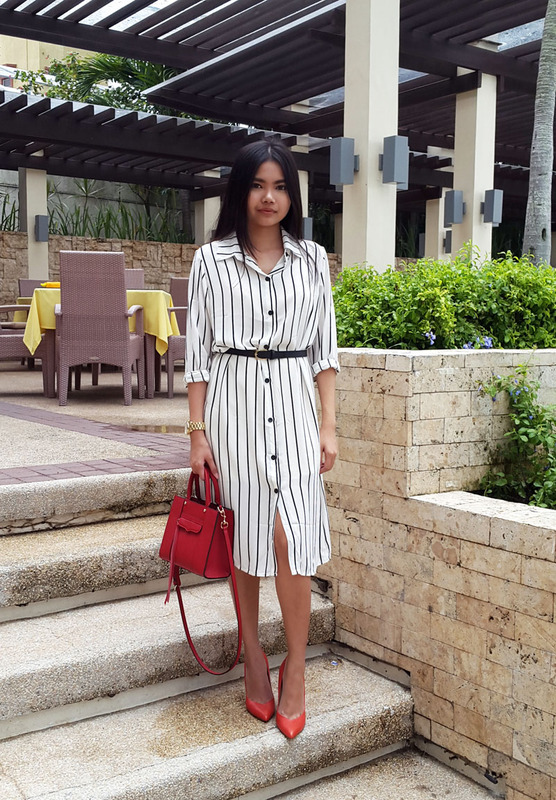 When I saw model Alexandra Elizabeth sashay down the catwalk wearing the black and white Altuzarra Kieran stripe shirt dress, I just knew I had to have it in my closet! It's classic and feminine― definitely one of my faves this season! I searched far and wide for a similar design on the high street but sadly could not find any. I almost gave up looking for it until I chanced upon this stripe number for a fraction of the cost. I do love my designer garb but I choose my battles wisely. No way was I going to drop 80 grand on a single casual dress. That's like a Prada bag or 2 pairs of Louboutins or even 3 Mansur Gavriel bucket bags! Even though I really like that Altuzarra garment, I'd rather save my money and purchase a better investment piece. I made the look more "realway" ready by styling it conservatively. I buttoned up the dress, cinched the waist with a black slim belt and used pops of red to jazz up the ensemble. For ladies looking for office outfit ideas, this shirt dress is a great 9 to 5 option. Just swap the accessories for ones with toned-down hues such as black and grey and you're good to go.